This alternating TCG tooth arrangement cuts more efficiently and with less wear. The teeth are brazed to the plate with a special tri-metal process that creates an extremely impact-resistant bond. 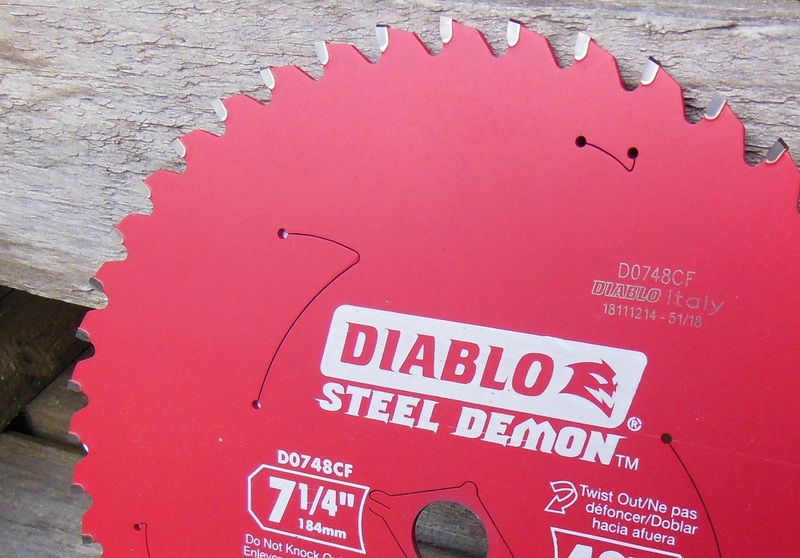 Continuing with the rule of three, Diablo Steel Demon uses Triple Chip Grind (TCG) teeth for smoother cuts with less heat buildup and fewer sparks. With TCG geometry, every other tooth has beveled corners. After a beveled tooth removes material from the middle, a “regular” squared tooth comes in to chip away the two corners. The squiggly laser cut lines are “stabilizer vents” designed to dampen vibration for a smoother, quieter cut. Cutting some 1.31” fence top rail like it’s butter. Diablo Steel Demon blades are touted as leaving a burr-free edge; and it’s true! I was surprised at just how clean the cuts are. Almost as if it they were done with an industrial shear. Almost. A beautiful cut in just seconds. The only burrs that developed were at the very end of the off-cuts. And that’s only because I allowed them to sag before dropping off. Even the world’s best blade can’t cut something that’s actively moving out of the way. 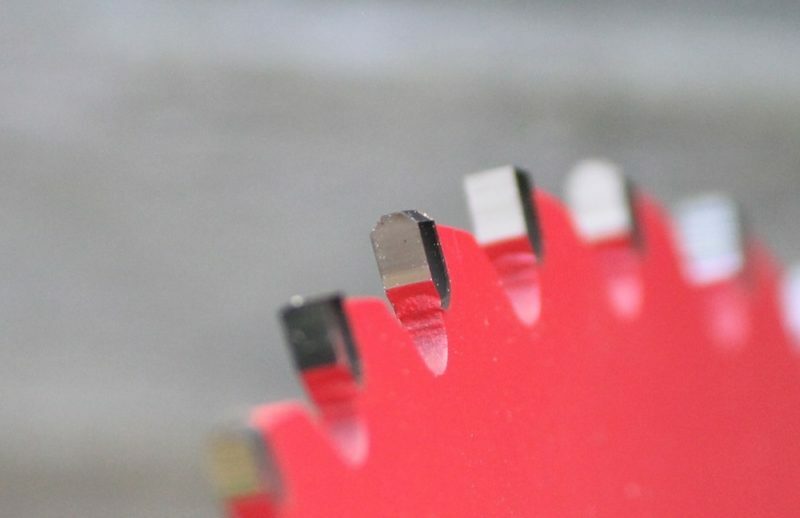 The main workpiece, however, was beautiful, burr free and smooth (as smooth as a circular saw can yield in the hands of a slightly unsteady operator). This small burr appears only on the offcuts (not the main workpiece), and only if it’s allowed to sag at the end of the cut (as most of mine were because, well, they’re the offcuts). If the off-cut pieces were supported, they too would be pristine. 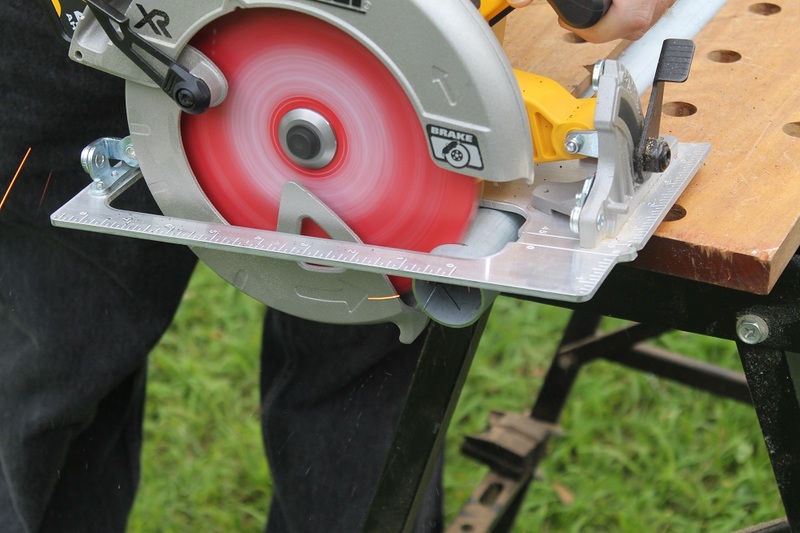 If you’ve never cut steel with an abrasive disc or hacksaw, you might not appreciate what you’re looking at here. But trust us, the difference is night and day. No, the difference is night and, uh, Jupiter. In other words, worlds apart. 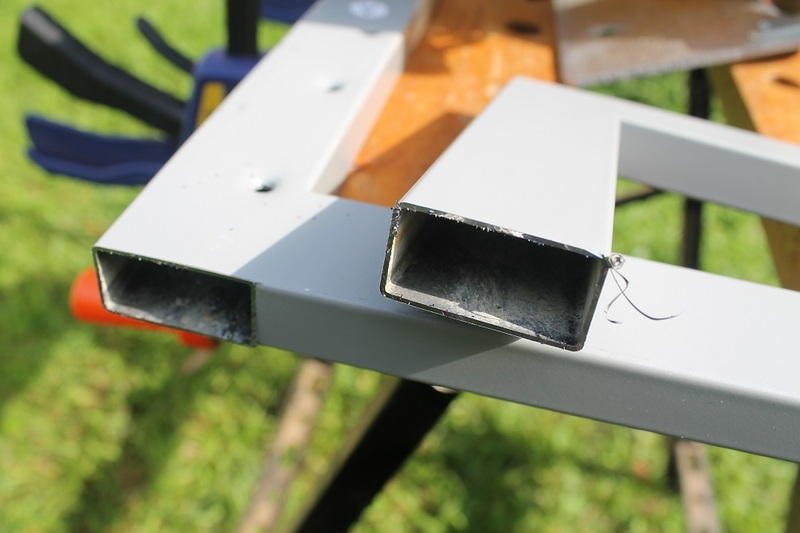 Another example of virtually burr-free cutting is this angle steel. 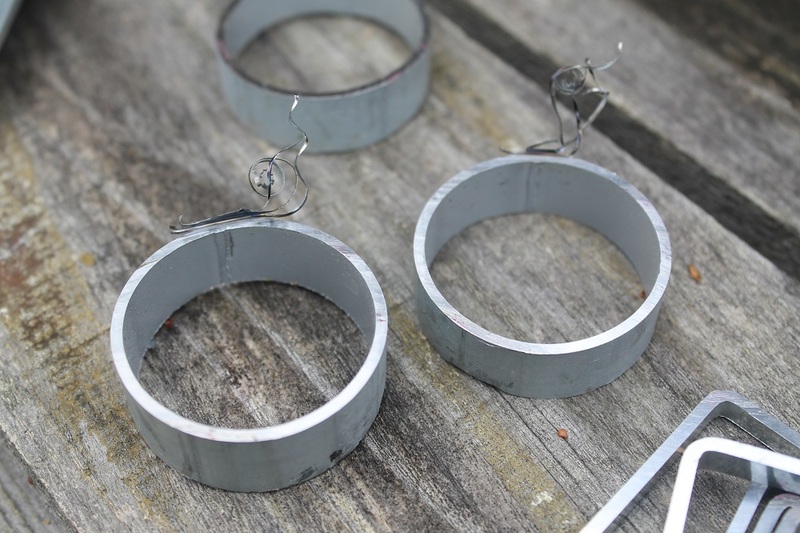 Again, there are metal whiskers at the very end of the offcuts. 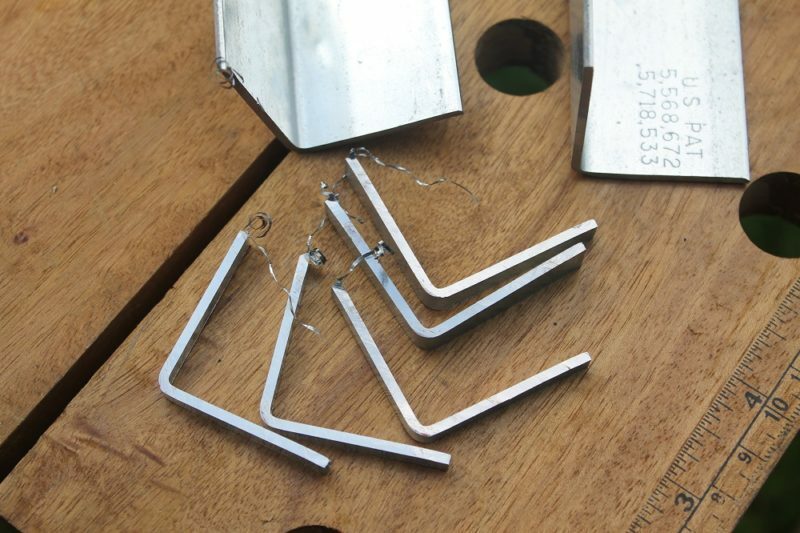 And a single whisker (this time only) – which easily broke off by hand – on one of the main pieces. Diablo Steel Demon cut this angle steel a lot faster and cleaner than a hacksaw or abrasive cutoff wheel is going to. No fiddling around here. This blade gets the job done. 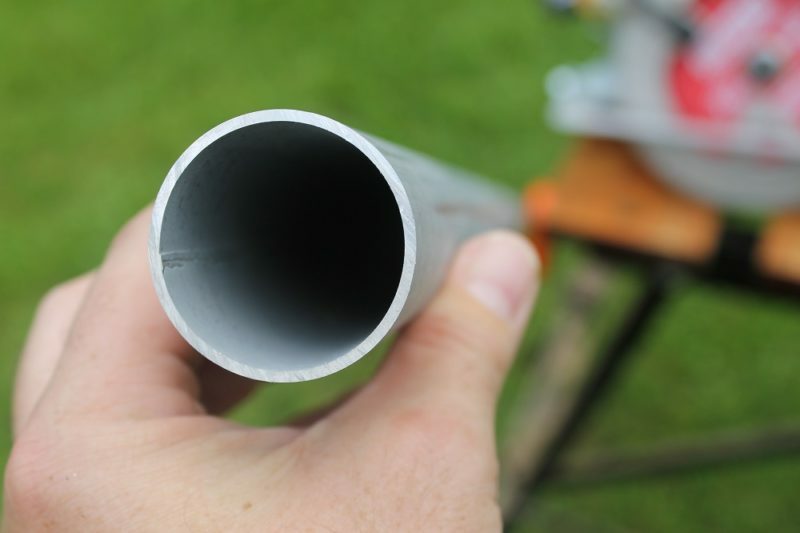 Rectangular steel tubing? Pshaw! This piece was slightly magnetic. What might appear to be tiny burrs is really just fame-seeking sawdust hamming it up for the camera. What a diva! Am I right? This glowing cherry looks like something from one of Dante’s 9 circles of hell. 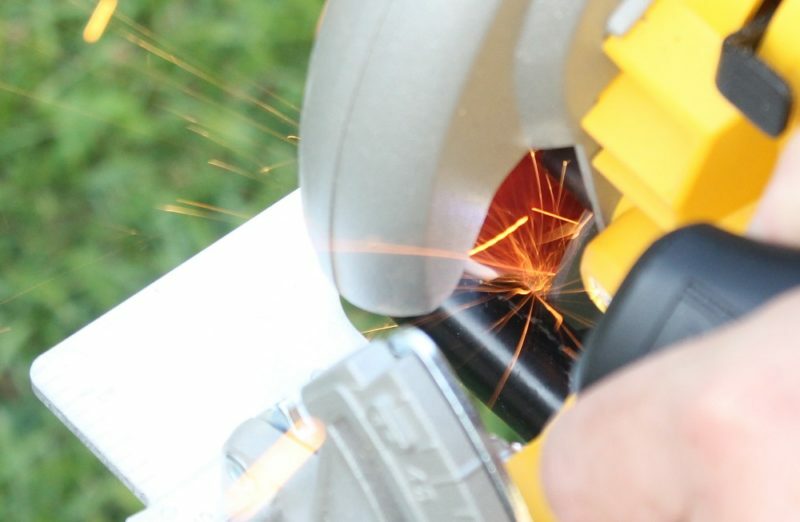 But it still heats the material a lot less than an abrasive cutting disc would. 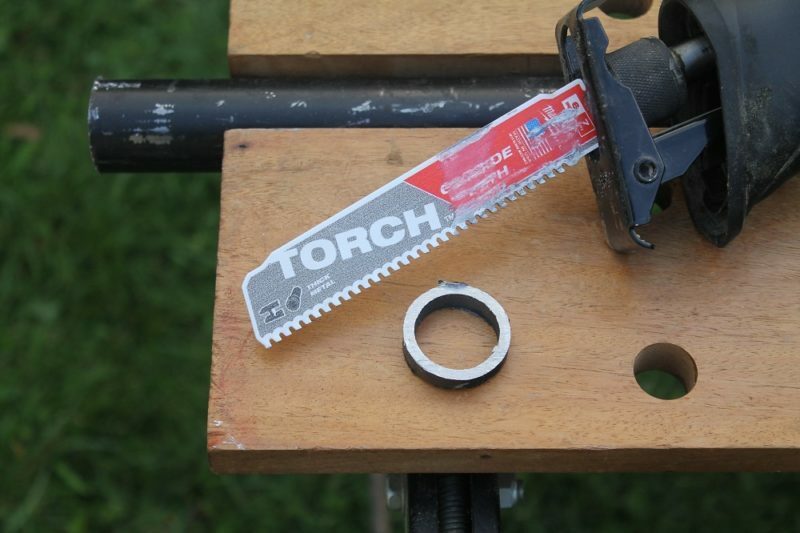 For thicker, heavier cast iron, stainless steel and high strength alloys, try a Milwaukee Torch recip blade. 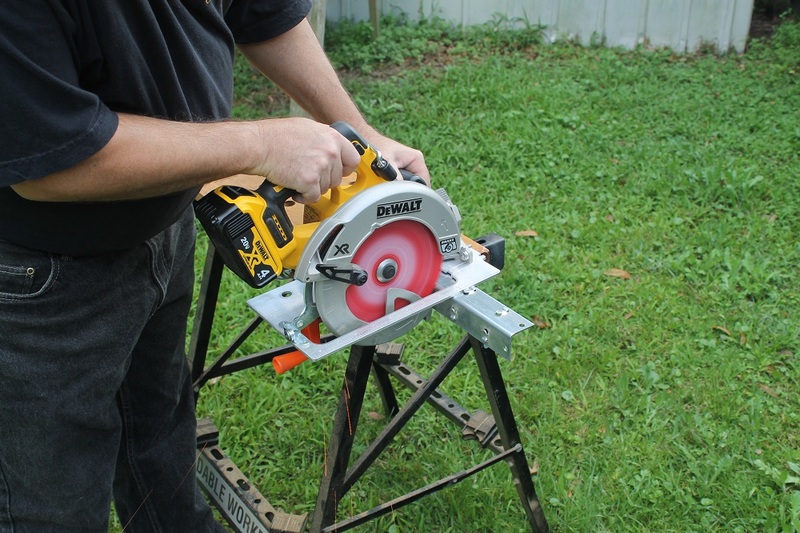 Ok, so there are some cases where a Steel Demon circular saw blade might not be the best option. 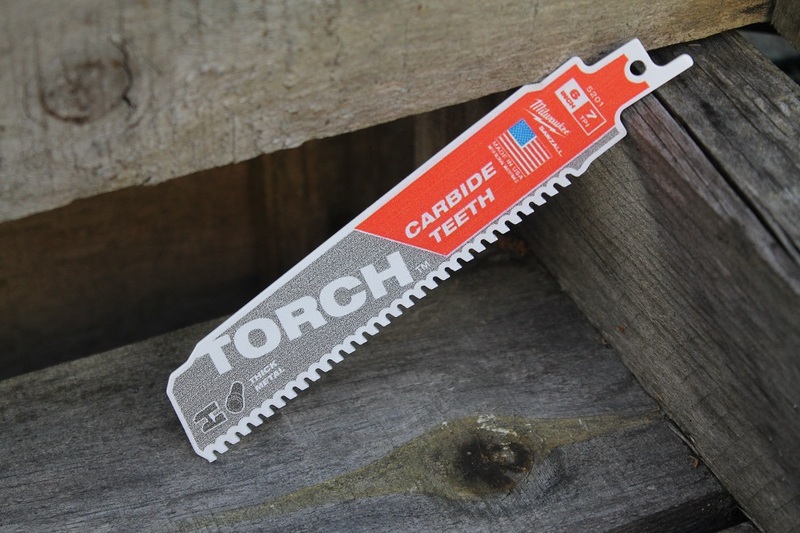 In tight spaces or when working with thicker steel (heavy beams or cast iron pipe, for example), you may be better off with one of Diablo’s reciprocating saw blades, or something like the Milwaukee Torch carbide toothed recip blade. See the red “paint” on the cut edges of these scraps? What you’re actually looking at is the blade in the background reflecting off of smooth, almost polished cuts. 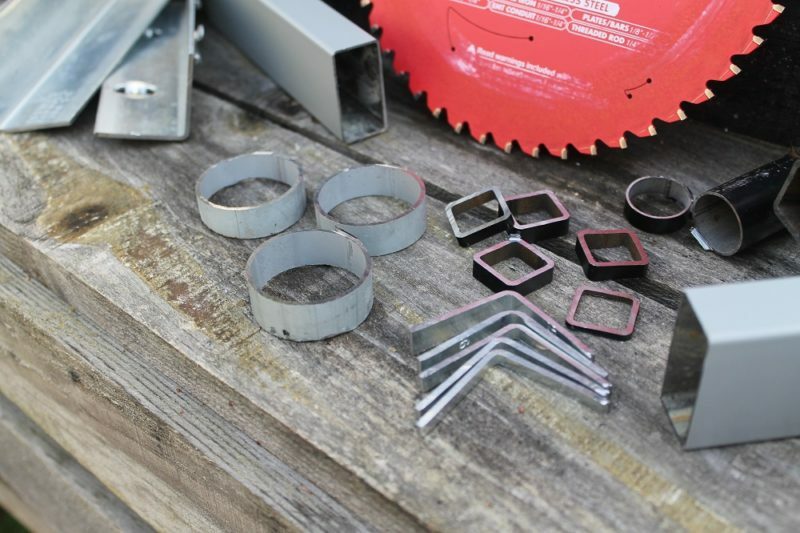 If you’ve ever cut a bunch of steel at a jobsite – or even a few chain link fencing posts or metal studs for a personal home improvement project – you’ve probably spent more time than necessary, and ended up with sloppier results than you might have liked. For faster, cleaner cuts without re-work or deburring, it’s time to step up to Diablo Steel Demon. I didn’t have any metal studs on hand. 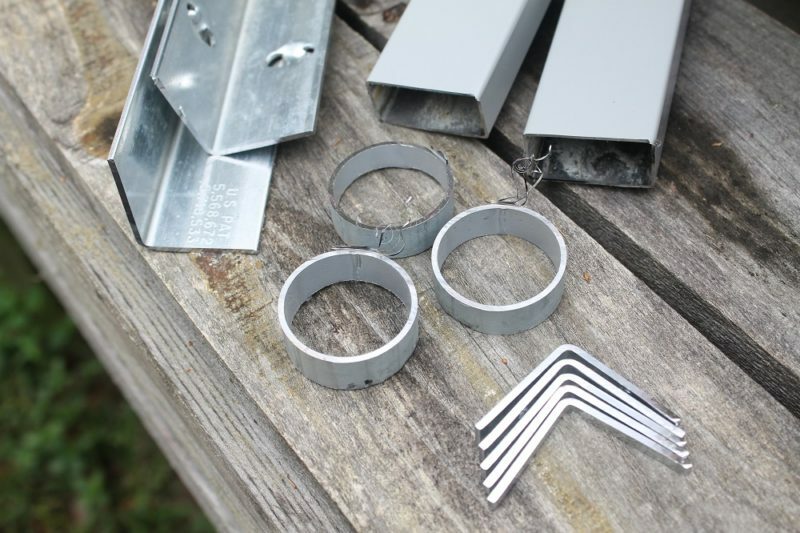 But judging by the steel I did cut (and this is only some of it) you metal framers out there are going to absolutely love Diablo’s Steel Demon blades. Some say “El Diablo” is to be avoided at all costs. “Like hell!”, I say. Prayers for better steel cutting options have been heard and answered by the folks in red! Diablo Steel Demon blades are one temptation you can feel good about giving in to. Can we get an amen?